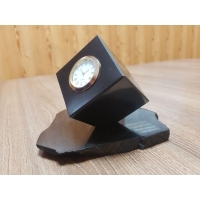 Polished cube with clock has a beautiful a esthetic appearance. As a pyramid or a ball, shungite cube is perfect as a gift for home or office. Moreover, cube can be used as an original support.